Road durability and endurance depend on quality of applied materials, and most importantly on physical and chemical properties of aggregates. no frost-heave and high water permeability. The buyers of KGHM Metraco S.A.’s aggregates include. : Budimex S.A., Mota Engil Central Europe S.A., Mirbud S.A., Strabag Sp. z o.o., PBD Głogów Sp. z o.o., Skanska S.A., Kontrakt Sp. z o.o. 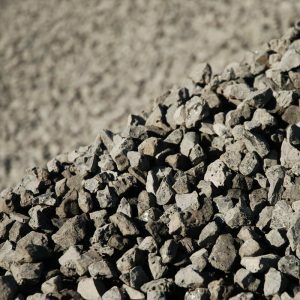 The raw material which is used for production of aggregates is slag, which is a by-product of copper smelting process carried out in the Głogów and Legnica Copper Smelting Plants. The material in question in 96.5 % is composed of rock-forming elements (including complex oxide compounds) – as a result, copper slag resembles with its chemical composition basalt and gabbro. The mined raw material is transported to plant equipped with crushers and subsequently it is sifted using a set of sifters into particular fractions of different granulation. Hardness (value 6 according to Mosh scale), wear-resistance and susceptibility to crumbling make copper a perfect raw material for the production of building crushed aggregates being especially suitable in road construction. Depending on the needs, it is possible to produce high-quality mixes. 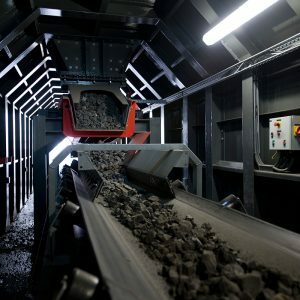 Owing to investments in new technologies, such as modernization of technological system in Legnica, or automation of processing plant for enrichment and classification of copper slag in Głogów, KGHM Metraco S.A. regularly increases its production capacity. The present capacity is 1.5 million per year and meets the demand of Clients from across the country. intended for embankment layers in frost zone. Aggregate Production Plant in Legnica is a production plant which processes copper slag from Głogów Copper Smelting Plant being a by-product of copper smelting process. Properly configured technological line makes it possible to manufacture valuable aggregates with continuous granulation and mixes. Good geographical position of the plant creates an opportunity of cheaper transport for clients and thus – to lower the production costs. Products of the Company are delivered to trade partners by road and by rail.